Swordfish III is an advanced CAT (Computer Aided Translation) tool based on XLIFF 1.2 open standard, designed for demanding professional translators. Swordfish III supports exchanging TMX (Translation Memory eXchange), the vendor-neutral open XML standard for the exchange of Translation Memory (TM) data created by Computer Aided Translation (CAT) and localization tools, originally published by LISA (Localisation Industry Standards Association). Swordfish includes a super fast Internal database server and integrated support for RemoteTM Web Server. You can also use third party database engines like Oracle 10g or MySQL 5.x for storing TM and terminology data. XLIFF Directly accepts version 1.0, 1.1 & 1.2 and provides round trip conversion for XLIFF 2.0 files. Uncleaned RTF Accepts uncleaned (tagged) RTF produced by old versions of Trados or Wordfast Classic and generates uncleaned RTF from regular RTF files. TTX Seamlessly converts received Trados TTX files to XLIFF and back. Swordfish has built-in capabilities for segmenting TTX files. TTX Exchange Allows collaboration with translators using CAT tools that don't support XLIFF but support TTX format via exporting Swordfish's XLIFF files as TTX and importing translations from the translated TTX files. TXML Full round trip (TXML-> XLIFF -> TXML) of Wordfast PRO and GlobalLink files. Easily reuse translations by importing them from previously translated XLIFF files. Swordfish extracts translations for individual segments, considering previous and following ones as context. Swordfish lets translators hide/show segments filtering on multiple status options, like: is translatable, has translation, has comments, is approved, etc. Swordfish generates HTML views from XLIFF files that lets translators/reviewers proof read comfortably in the system's default web browser. The generated HTML can be customized by end users, adjusting the provided XSL stylesheets. 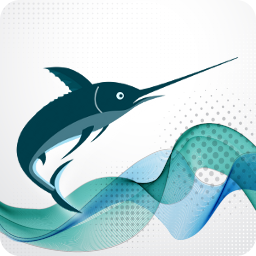 Swordfish includes two translation engines: a "traditional" TM (Translation Memory) system that provides exceptional matching and Auto-Translation, an exclusive technology that assembles matches from regular TM databases and Terminology databases. Google's Machine Translation engine and Microsoft's Bing Translator are fully integrated in Swordfish. Download Swordfish and try it for free during 30 days. All functionality is enabled during the evaluation period. - Support Group at Yahoo! Glossary manager and term extractor.